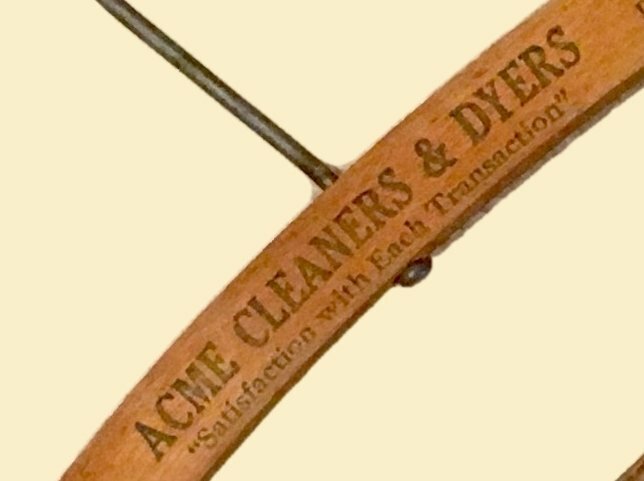 Cool old coat hanger, advertising a dry cleaner with the ultimate generic name: Acme Cleaners and Dyers. 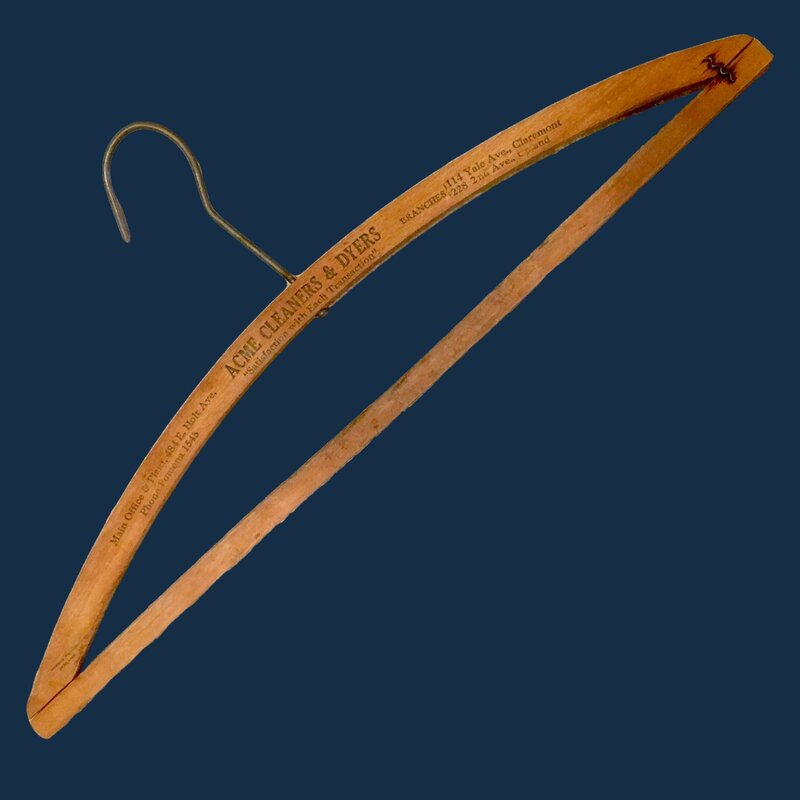 Other text printed on the wooden hanger includes addresses for branches around the greater Los Angeles area. Use these hangers for their original purpose, or for displays and crafts. MEASUREMENTS:16,5" L x 6.75" T ot top of hook. LOCAL PICK UP:Lexington MA or at a show - check the calendar for one nearby! 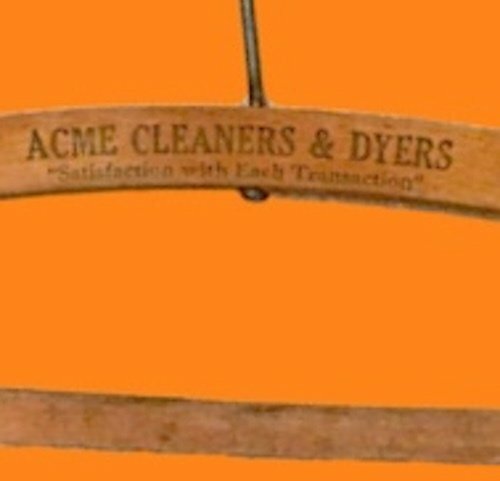 THE FINE PRINT:Vintage items are rarely perfect; check it out before buying! QUESTIONS? :Chat, message, or call through the website. and we'll keep an eye out for your heart's desire!